Rated 5 out of 5 by FaithWhite from Airplanes are so cute! I absolutely loved this game! They have these cute little planes and you have to run the entire airport. Very easy to pick up and play right through to the end. They even have all these hidden easter eggs for you to find which makes the game a little bit more exciting. It can get repetitive but overall it was a great game and I would say go ahead and buy it! Rated 5 out of 5 by nickyd_81 from Fun game! This game was fun and challenging at the higher levels. And the airplanes are so adorable! 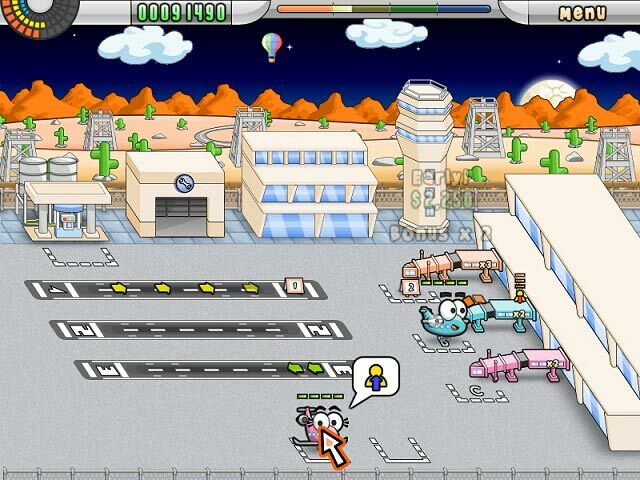 Rated 5 out of 5 by crispykins from airport maniac lol i absolutely love the fast paced action, the airplanes are just adorable and the upgrades help out heaps, if you want a challenging game, this is the perfect game. i found it alittle difficult and i would consider myself to be a very experienced player, time management is a must! Rated 5 out of 5 by catbag8717 from Really Surprised by this game!! After looking at the screenshots and videos, I thought I was going to hate this game, but I absolutely loved it! Good Parts: Very, very addictie! Extremely fun! Awards added extra fun to the game, and you were able to take a picture of your award room A very good challenge. Sometimes I would really fall behind in levels, but I was able to get back again. The helicopter was very good, because it was able to give me cash. Upgrades were great as they helped make levels easier, and didn't cost a lot. OK Parts: The graphics need a bit of improvement. They should be updated so it feels like I'm playing a modern game. Bad Parts: The only bad thing about this game would be that it gets repetitive after a while. I played 10 stages and had to take a break because I got bored. This game proves you should not judge a book by its cover. I loved it, and I promise it will provide fun for all ages! Rated 5 out of 5 by caj_gamer from A cute time management game, sure to cheer you up! I loved this game just as much as the second one as I started playing that one before this first version. The humming and chippering of the airplanes always bring a smile to my face. 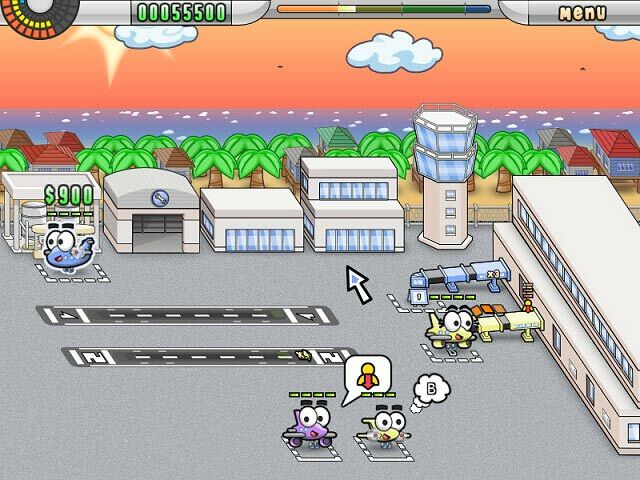 I enjoyed managing the airport by landing, taking off and servicing the planes with progressively more difficult levels. To earn awards within each level, the goals is to have all planes arrive and depart early, have at least 4 planes of a specific color at a gate, and be able to take care of other things that may come up such as an organ transplant, the President's jet, a woman in labor, and keep hot air balloons, sailboats, and blimps on the screen. Monies that you make allow you to purchase improvements for your airport. Overall, I really love playing this game and the challenges it encourages you to beat. Rated 5 out of 5 by Clovenhoof from Time and Again Somehow this game just never gets boring. I've played it through several times and enjoy it just as much every time. I find that it is somehow just challenging enough but relaxing at the same time. This also seems to be the game I end on when I get frustrated with another game. Rated 5 out of 5 by WolfieD from Extremely fun and cute game I love this game and thoroughly recommend it. I have played it several times since downloading it about 4 years ago and can't get sick of it! I was so happy when I found out there was a sequel. You play this game as the air traffic controller, directing planes from the air to their gates, then back into the air again, with other various things to do such as repairing them, painting them, and refueling. The game gets harder as it progresses, but at a rate that an adult will still be able to finish easily enough. A young child will be very amused with the individual characters of each type of plane and the songs they hum, but may find the later levels a bit too much to manage. 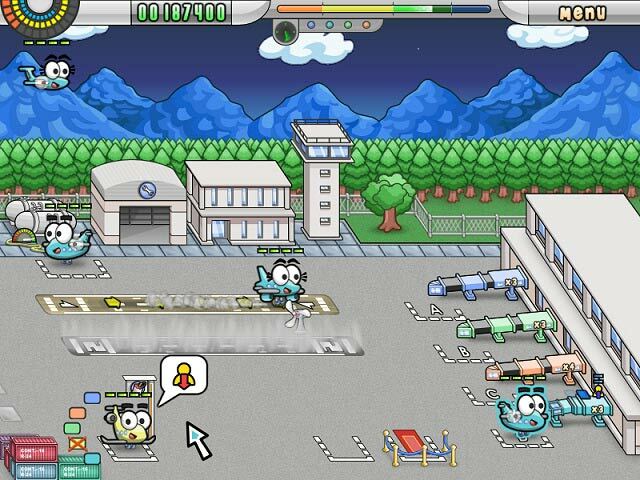 Besides having to manage the planes themselves, there are other 'mini-games' within the levels. Take a quick look through the trophies page to find a hint on what these mini-games are!